How did you develop into the role? "I have worked in Urology since 2006 as a staff nurse, (I had a placement as a student and knew it was the area I wanted to work in) working full time then going to part time when I had my children. I had been working nights and weekends to fit in with having young children when my current post came up! I never thought I would get the opportunity to become the ward sister on Urology (it’s a speciality that I absolutely love!) It has been the most amazing experience having only got the role in November 2017. I have learnt so much and have so much I want to achieve in the future within my role." "Ward working is pretty busy and challenging! With never a dull moment, each day can be so different. A typical day involves getting handover from the night staff. Then I introduce myself to my team of patients, give medications and check VIP’s whilst they have their breakfast, help patients to wash and dress (thoroughly checking skin), ensure myself and my team attend to patients care needs throughout our shift, discharge patients, arrange staff breaks, carry out wound dressings, complete nursing documentation, medication administration, monitor patients post operatively, refer patients to district nurses, plan discharges for the next day, speak with patients and relatives regarding their care, update our computer systems for hand over, deal with any incidents/problems that arise. This is just a small snippet of some of the work I do!" 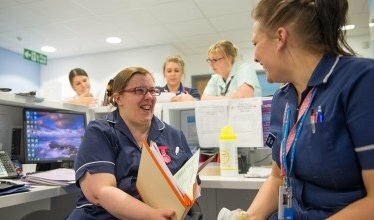 "My favourite part of the job is the patient contact and the care that I give; for example from welcoming patients onto the ward, helping to wash patients, educating the patient about their catheter or ileal conduit and helping the patient get well and get home as soon as they can. "I also enjoy mentoring students and seeing them develop during their placement with us. I am very lucky to work with such an amazing group of staff who work extremely hard under a lot of pressure to provide excellent care for our patients." "My biggest achievement outside of nursing is whilst serving in the Royal Navy I assisted in hurricane relief in the Caribbean islands; helping clear debris from the hospital on the island of St. Kitts and taking part in antidrug smuggling operations. 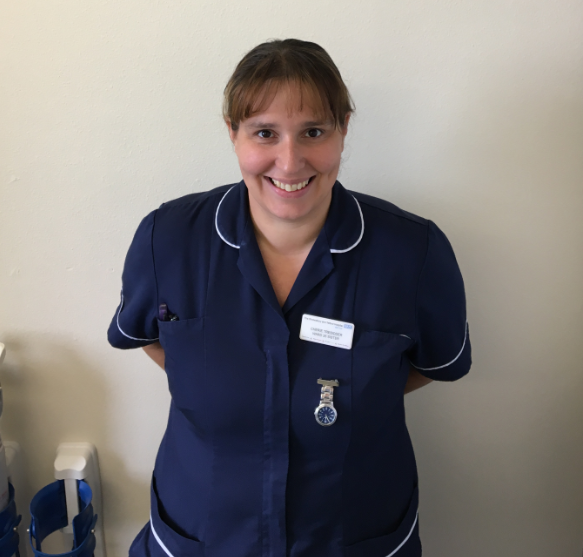 "My biggest achievement in my nursing career has to be getting my current post - having always looked up to previous senior staff I never believed I could achieve it; I hope to continue to learn and develop into a good role model achieving excellent care and good productivity for our team and our ward. I am also pleased with our charity event where we raised £2425 and we were able to buy TV’s for the side rooms and ward, fans, staff fridge and various other items." How do you spend your time out of work – do you have any hobbies? "I love to socialise with my friends and family spending time with my husband Brett, son Jake, 8, and daughter Esme, 4, (they do keep me very busy!). We enjoy travelling and anything fun which involves rollercoasters! I enjoy quite a bit of DIY (I always have a project on the go! ), gardening, cooking, music, country walks and reading." To find out more about Nursing Jobs at SaTH click here.